Published June 2015. Complete and unabridged. 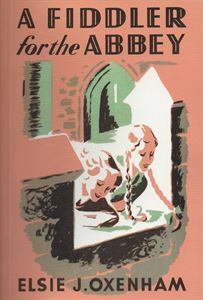 Following on in the Abbey Series from Robins in the Abbey and the connector Margery Meets the Roses, this book is the second of the titles originally published by Muller that we are reprinting. It introduces Nanta to the Abbey crowd, and sees Jansy Raymond grow into Janice, the Lobelia Queen.